events – Page 72 – Cool San Diego Sights! Big crowd at San Diego’s 2013 Festival of Sail! Sunday afternoon brought a gigantic crowd to San Diego’s sunny waterfront. The 2013 Festival of Sail appears to be a resounding success! This photo was taken at the annual event’s busy entrance just south of the Star of India. A huge mass of humanity also surged along the Embarcadero in the vicinity of the sand sculpture event on the cruise ship pier, and by the USS Midway and Seaport Village. Lines were long everywhere, and street vendors and performers were raking in the money! One often hears that America’s Finest City is a top destination for tourists on Labor Day weekend…I certainly believe it! It’s almost a year later and the 2014 Festival of Sail is a couple days away! This year I’ll actually attend, brave the huge crowds and take a bunch of pics! Banner is up on Star of India a few days before the 2014 Festival of Sail! 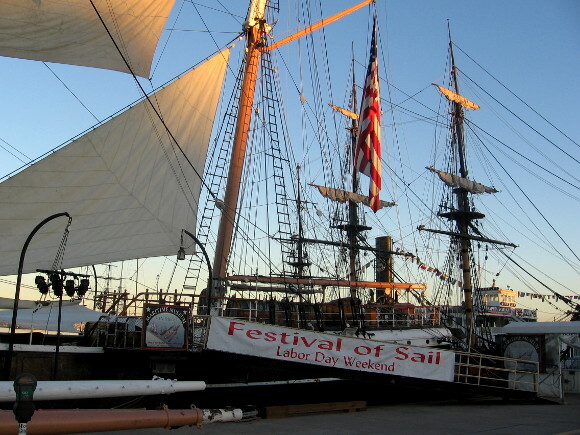 Posted on September 2, 2013 August 27, 2014 Tags downtown, embarcadero, events, festival of sail, labor day, sailing, san diego, san diego bay, star of india, tall shipsLeave a comment on Big crowd at San Diego’s 2013 Festival of Sail! San Diego Symphony banner adds life downtown. When descending Cortez Hill, I often walk south down 8th Avenue past the big colorful banner on the Copley Symphony Hall building. I enjoy the huge, energetic image of Jahja Ling conducting the San Diego Symphony Orchestra. The above photograph was taken from the City College gymnasium on Park Boulevard. It’s a perfect spot to snap pics of downtown skyscrapers looking west. 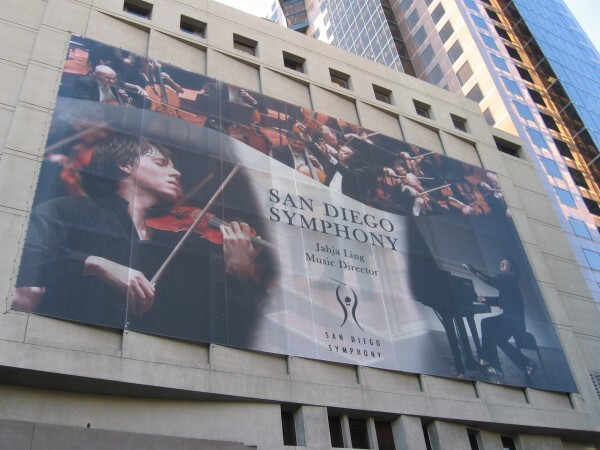 Different San Diego Symphony banner on west side of building. Posted on September 1, 2013 June 4, 2014 Tags architecture, art, city life, concerts, culture, downtown, events, music, san diego, san diego symphonyLeave a comment on San Diego Symphony banner adds life downtown.